by Catholic Volunteer Network and the Catholic Apostolate Center. Working with highschoolers is difficult, to say the least. For the first few months of my service year at Cristo Rey Boston High School, I struggled to connect with the students. I was ignored, yelled at, pushed away. I felt defeated and emotionally drained. In some ways, I think I felt a lot like the disciples in today’s Gospel. I felt called to serve these students, but at the same time, I was unaware of the distress and trouble I would have to go through. Following Jesus’ proclamation of his death and resurrection, Peter, James, and John are perplexed and dismayed, for they expected their mission to be one of comfort, ease, and glory, not one of suffering, agony, and ultimately Christ’s death. In a similar way, I was dismayed by my first few months at Cristo Rey. Yet, I remained open, willing to hear the stories of my students. I reached out to kids in the hallway, coached soccer, and chaperoned extracurricular events. Moments outside of the classroom eased the tension between me and the students. I do not know if I can point to one specific moment, but over time, I witnessed the transfiguration. I began to see the students differently. As I grew in relationship with my students, I saw God in them. The students transfigured before me and I recognized the imago dei within each one. In the Transfiguration of the Lord, we are challenged to risk suffering out of love. We are reminded to listen to Christ, even if we are afraid. We are all called to be disciples that carry the cross in anticipation of the resurrection. The Transfiguration calls us to be touched and moved by experiences outside of ourselves. In our own lives, moments of encounter with the other shake us, move us, stun us to see the other as loved and worthy of dignity. However, in this witness, we can often become paralyzed and unaware of how to respond. Nonetheless, the encounter requires action. We must use our moments of encounter to be fully transfigured, to come down from the mountain and be agents of social change. Loving, all-embracing God, we thank you for the gift this Lenten season to ponder on the mystery of Christ’s life, death, and resurrection. Help us to listen and become aware of your call to be transfigured into disciples of love, compassion, and empathy. Offer us the grace to trust in you in times of suffering, the courage to risk suffering out of love, and the patience to sit in the mystery of your promise. We ask this in Jesus’ name, Amen. During this Lenten season, consider reaching out to someone who is different than you. Perhaps it is a person experiencing homelessness, a person of a different faith tradition, or a person new to your faith community. Challenge yourself to be uncomfortable, disturbed, and moved. Take the time to hear their story in all their joys and sorrows. Often we think of service as a means of providing something for someone; however, accompaniment and listening are just as meaningful forms of service. Originally from Indiana, Justin Hoch graduated from Loyola University Chicago with a degree in Theology. After graduation, Justin worked in campus ministry at St. Joseph’s University, and then, spent a year of service at Cristo Rey Boston High School working as a teacher’s assistant. He is currently pursuing graduate studies at Boston College School of Theology and Ministry. Looking for more reflections like this one? 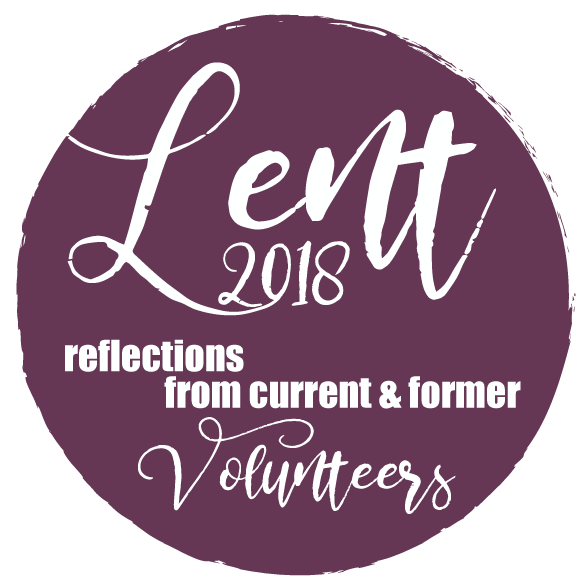 We invite you to download our Lenten Reflection Guide in its entirety, available by clicking here. 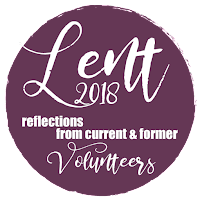 You can find an extensive library of Lenten resources by visiting the Catholic Apostolate Center website – click here.